5 stage purification process to filter our water to 0ppm total dissolved solids. High quality Carbon fibre water fed poles to save strain on the back, neck and shoulders. Specially designed brushes to prevent scratching. Hot water! Costing over £5,000 to convert to hot water we can clean faster and easier. Just like the difference between cleaning your dishes with cold or hot water. 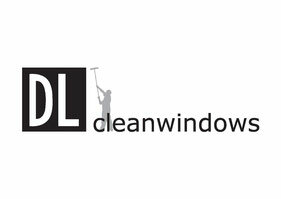 Water fed pole or pure water window cleaning has been used since 1995 when technology caught up and the ability to purify water became more readily available. For many years before, window cleaners had harvested rain water (or waited for a rainy day) after realising it was quicker and easier due to less spotting on the glass. Rain and purified water acts as a magnet, actively seeking dirt particles. By removing all the dirt from every nook and cranny your windows will stay cleaner for longer then traditional window cleaning, even after raining. By using purified water and a good cleaning technique, windows are left wet to dry naturally. Without any dirt or dissolved particles in the water, it's dries to a spot free shine. If you have had a window cleaner leave spotting this is usually due to a poor technique and/or using water that hasn't been purified properly.